Cupcakes are probably my most favorite birthday (or every day!) treat, and even the most plain variety is good. But when you fancy them up, they get even better! 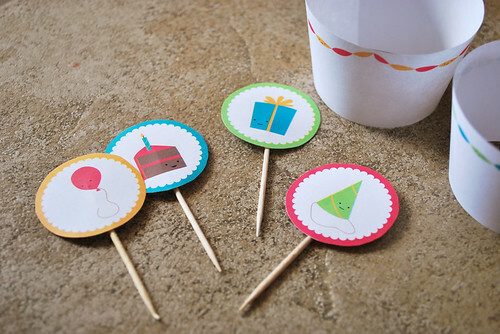 -For the wraps, wrap them around a cupcake and tape them in place. -For the picks, tape to a toothpick. There are a bunch of designs in the PDF, which you can download here. Have fun decorating your cupcakes! Thank you.....these are so cute!